Do You Know Your Organizational Health? In the complex anatomy of your organization, your workforce is the heartbeat. A strong, healthy heart pumps blood throughout the body, usually at a steady rate, but can work much faster when necessary. Similarly, a robust workforce propels productivity throughout the organization, supplying oxygen in the form of discretionary effort and removing toxins such as complacency. Your workforce can exceed expectations when it is in good health and receiving the attention and motivation it needs to flourish. Just as a yearly visit with your physician helps address your current health status, an engagement survey provides the routine monitoring necessary to assess the condition of your workforce. In a soon-to-be released Engage2Excel Trendicators™ research study on engagement surveys, early results indicate that only about half of the respondents say that their organization has conducted an employee engagement survey in the past two years. Not exactly what the doctor would order! This practice is an opportunity to recognize your current strengths, as well as identify areas of your workforce’s overall health that need attention. There are many solutions to nurture workforce engagement in an organization, but the first step is understanding your organization’s current state. There is no better tool to capture a baseline for engagement than a survey. Your workforce may appear healthy, but until you utilize the stethoscope that is an engagement survey, you won’t be able to make an informed health assessment or identify potentially hazardous environmental factors. These factors can have a long-term impact on your overall well-being as an organization if untreated. A survey reveals the areas in which your workforce is thriving and allows you to commend their efforts. That success should continue to be measured and not forgotten. Additionally, and more significantly, it will bring to light the areas that must be addressed to increase productivity and retain talented workers. 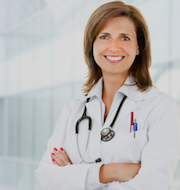 Your doctor’s feedback for you will not be the same as it is for your neighbor. 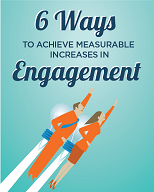 Likewise, the path to higher levels of workforce engagement varies for each organization. Because each company has a unique culture, a different starting point, and distinct goals and challenges, your results will vary. Congratulations! You’ve started down the path of organizational health. Stay tuned, because listening to the body of the organization is just the first step. Taking the results of your check up and deciding what to do with them is just as important. Check out next week’s post where Tyler will be sharing tips on what to do with all that data you collect once your organization goes through the survey process! Tyler Morrison is a Senior Account Executive at Engage2Excel and the newest contributor to our Blog!